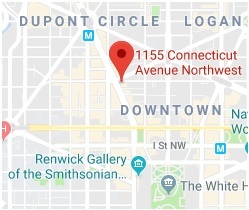 With more than thirty years of legal experience representing corporate and individual clients in the District of Columbia, The Law Offices of Eric Howell Sayles, P.L.L.C. is a boutique law firm dedicated to providing close attention to the individualized needs of our clients in all aspects of real estate transactions and litigation. The firm’s practice concentrates on real estate related matters, including drafting and negotiating contracts, trusts, mortgage documents, real estate settlements, business formation and reorganization, and other general business concerns. For commercial developers and multi-unit property owners, the firm prepares condominium conversion documents, leases, construction contracts, and handles complex landlord and tenant matters in and out of court. In addition, the firm has had extensive success in real property litigation, representing property owners and managers, developers, contractors and construction managers, brokers and agents, insurance companies, and homeowners with regard to title claims, fraudulent transfers, contract and construction disputes, adverse possession claims, mortgage and condominium foreclosures, and other related litigation. The firm is also a leader in tax lien foreclosure litigation in the District of Columbia, having prosecuted nearly one thousand legal actions in the past twelve years. The Law Offices of Eric Howell Sayles, PLLC is committed to providing clients with personalized attention, effective representation, and useful advice on a cost-effective basis. Please contact us today to schedule an appointment to discuss your concerns.